For the second year in a row, Latino Leaders is proud to partner with ALPFA to unveil their list of the Most Powerful Latinas in Business. In this 2018 edition, the women that appear are all examples of great leadership and a great work-life balance. They all represent a thoughtful example and a tremendous inspirational piece for many other women that wish to lead. Williams leads one of the largest combined natural gas and electric energy companies in the United States. Based in San Francisco with more than 20,000 employees, the company delivers some of the nation’s cleanest energy to nearly 16 million people in Northern and Central California. Williams is the first Latina to ever lead a Fortune 500 company. As executive vice president of global operations at PepsiCo, Puma directs a broad scope of activities spanning PepsiCo’s $63 billion portfolio that includes Pepsi, Frito-Lay, Quaker Oats, Gatorade, and Tropicana. Under her purview are global procurement, in which she manages more than $25 billion of spending; global manufacturing operations and warehousing, where she drives quality, efficiency and ensures capacity for growth around the world; and global safety and security, where her focus is protecting the welfare of more than 250,000 PepsiCo employees. Before joining PepsiCo in 2010, Puma held leadership positions at United Airlines, Kraft Foods, Motorola, and Gillette. She currently serves on the board of Williams-Sonoma. This powerful Latina serves as a member of the U.S. leadership team and the global assurance executive leadership team. Her leadership of the national assurance practice encompasses business strategy, quality and regulatory relations, innovation, risk management, portfolio strategy and business development, and human capital. Castañón-Moats is a leader who has built her career by delivering great client service, primarily to retail, consumer, and industrial product clients. Her career spans accounting, financial reporting, investigations, and M&A. She has led audits of both public and private entities, and initial and secondary public offerings. She is fluent in Spanish and has traveled on business extensively throughout the U.S., Europe, and Latin America. Dulá has run all three divisions of Bank of America’s Latin America business: corporate, investment bank, and wealth management. This year, Sonia has dedicated 100% of her time to covering telecommunications and media companies in Latin America, helping to drive rapid transformation. Dulá held senior posts at Pemex and Goldman Sachs. As CEO of Grupo Latino de Radio, she operated over 500 radio stations in Latin America and the U.S. Born in Mexico and raised in Brazil, Dulá speaks five languages fluently. Ruiz began her career at Walmart 25 years ago, and now leads operations for nearly 600 Sam’s Club stores in the U.S. with $60 billion in revenue. She also oversees the real estate division, in-club digital services and the operations transformation team. Ruiz has held numerous executive positions at Walmart including EVP of people for Walmart International and EVP and chief operating officer for Walmart U.S. She has been honored by Latina Style as Latina Executive of the Year in 2010, and by Fortune as one of the 50 Most Powerful Women in Business in 2012, 2013, and 2014. Martinez brings over 30 years of experience in business and technology leadership roles, and her primary focus is helping customers transform their businesses and realize their ambitions faster. Prior to joining Salesforce, Martinez managed Microsoft’s global services business, where she led businesses to outperform revenue targets and significantly increase Microsoft’s customer satisfaction rating. She also served as president and CEO of Embrace Networks and has held senior leadership roles at Motorola and AT&T. She joined Goldman Sachs in 1989 in the investment banking division and has held positions in sales across the U.S. and Latin America before assuming responsibility for the Latin American cash business in 1999. She also is a member of the Americas Diversity Committee. Docharty has been actively engaged in the firm’s diversity efforts, participating in the Multicultural Women’s Alliance and the Goldman Sachs women’s network. She was named managing director in 1999 and partner in 2010. She earned a BSBA from Georgetown University, where she has also helped lead the firm’s recruiting efforts. In her role as CEO of the central region, Winkler is responsible for approximately 30% of UnitedHealthcare’s total Medicaid business. She leads a team of 2,700 employees to deliver health and wellness services to over 1.9 million people. She also serves on UnitedHealthcare’s CEO diversity and inclusion council and UnitedHealth Group’s innovation forum. Winkler has also held positions with BlueCross/BlueShield of Illinois, Texas, New Mexico, and Oklahoma. Cisneros leads a third-generation family-owned business focused on media, digital and interactive, and real estate. She is also the President of the Fundación Cisneros, a non-profit organization dedicated to improving education in the region. Cisneros is also the co-chair of Endeavor Miami, a director and executive committee member of the Board of the International Academy of Television Arts & Sciences, a trustee of the Paley Center for Media, and a board member of MoMA’s Latin American acquisitions committee. She recently joined the boards of Parrot Analytics, The Knight Foundation, and University of Miami. Alba is the founder of The Honest Company and Honest Beauty, companies providing more than 101 safe and effective products for baby, personal care, cleaning, and more. She’s a globally recognized business leader, entrepreneur, advocate, actress and New York Times bestselling author of The Honest Life, a practical guide for parents to create a safe and healthy life for their families. The Honest Company has donated over twelve million products and over 15,000 employee participation hours through its Honest to Goodness program. Alba was among the top twenty of Fast Company’s 100 most creative people in business, and one of Fortune’s 10 most powerful women entrepreneurs. Pinczuk is a General Manager for HPE’s $7 billion services business. She leads a team of 25,000 I.T. experts responsible for driving customers’ digital transformation journeys and delivering HPE Pointnext consulting, professional, and operational support services. Previously, Pinczuk was EVP and chief product officer at Veritas and led the company’s $2.5 billion information management business. She also spent 15 years at Cisco where she held various leadership roles in the services and engineering organizations. Aulestia oversees $6 billion in annual revenue and distribution of HBO’s networks and platforms worldwide. Internationally, she is responsible for the operations of HBO-branded networks in 67 countries. Domestically, she leads distributions for the premium networks HBO and Cinemax, whether it be through cable, satellite, and telco companies or in the critical lodging business. Aulestia oversees HBO’s affiliate marketing group, which is responsible for the acquisition and retention of subscribers across all distributor partners. She also heads digital distribution efforts, including streaming products HBO GO, MAX GO, the newly launched HBO NOW, and HBO Home Entertainment. Melendrez-Kumpf leads a $2.5 billion business unit, responsible for 775 McDonald’s restaurants. Joining McDonald’s more than 25 years ago as a manager trainee, she advanced quickly through all phases of restaurant management and supervision, in both the U.S. and Latin America. She joined the executive team in 2006 and has been the recipient of many prestigious awards for her visionary leadership. Melendrez-Kumpf has been recognized by the McDonald’s women’s business leadership network and Latina Style magazine. Hudson oversees all aspects of CNN’s Spanish-language media businesses, including newsgathering, editorial content, programming, production, operations, and personnel of the CNN en Español 24/7 television news network, CNN en Español Radio, and CNNEspañol.com. Hudson recently expanded CNN en Español’s operations in Argentina and Mexico and expanded the role of cross-platform vontent across all platforms to continue the brand’s digital and social growth. Hudson’s community efforts include being a director on the board of The National Epilepsy Foundation and vice president of the University of Miami alumni association. Lagnado oversees the global marketing, menu, and customer insights for McDonald’s, where she manages the brand on a global scale. Previously, she was chief marketing officer of Bacardi Limited, and EVP of the savoury business unit at Unilever, where she worked for over 20 years. Lagnado was also the creator of Dove’s Real Beauty Campaign. She has been recognized by Ad Age as one of the 100 Most Influential Women in Advertising and by the Wall Street Journal as one of the Top 50 Women to Watch. She has served as a non-executive director on several boards in the U.S., the U.K., and Brazil. Robbins works at one of Fortune’s 100 Best Companies to Work. In this role, Robbins leads the company’s efforts to attract, develop, and retain the best talent. She became one of the pioneers of Salesforce’s equal pay efforts, resulting in the company spending $6 million to address any unexplained differences in pay. She has also scaled Salesforce’s unique culture that has earned the company top rankings in Forbes’ Most Admired Companies, Indeed’s Best Places to Work in Technology, LinkedIn’s Top Companies, and Glassdoor’s Employees’ Choice Awards. Prior to joining Salesforce in 2006, she held positions at major technology companies including BEA, OpenWave, Plumtree Software, and Excite@Home. She is responsible for the structure, development, strategy, and operations for Hyatt Place and Hyatt House hotels globally, and franchise operations for Hyatt-branded hotels and Hyatt Zilara and Hyatt Ziva all-inclusive resorts. Santiago is a hospitality veteran and has held an ascending series of food and beverage positions throughout the U.S., Canada, and Caribbean. She also served as general manager of Hyatt Centric Key West Resort and Spa and Hyatt Regency Aruba Resort and Casino. Santiago serves on the diversity and inclusion council for Hyatt and is co-chair and executive sponsor for HyPride, Hyatt’s LGBT diversity business resource group (DBRG). She is a board of directors member of the American Hotel & Lodging Association (AHLA) Women in Lodging. Hackley manages an origination team focused on developing relationships with industrial clients with a focus on corporate finance transactions. The strategy is to deliver a wide array of financial solutions providing advice on capital structure, acquisition finance, ratings, debt issuance, structured finance, and the management of currency, as well as interest rate risk. Hackley is a graduate of Georgetown University and serves on their board of regents. She is also a board member of Breakthrough New York. She’s a member of the Citi North American Corporate and Investment Bank Management Committee, Global Banking Diversity Steering Committee, Nextgen Recruiting Steering Committee, and Team Captain for Georgetown University recruiting efforts. Hackley received the 2012 Hispanic Business Woman of the Year award and is fluent in Spanish. Hondal brings 25 years of global leadership experience in consumer marketing, finance, and business management. In her new role, she is responsible for leading more than $1 billion in global loyalty services business, after serving as the Latin American Caribbean region EVP of products, marketing, and advisors services. Prior to joining Mastercard, she launched a business development and marketing services firm after an 18-year career at American Express. Hondal is a first-generation Cuban-American with a Bachelor’s degree in finance and international business and an MBA from Florida International University (FIU). She is a member of the dean’s council, a recipient of the FIU hall of fame for global leadership, and has established a first-generation scholarship endowment for women in business. Corrales is responsible for supporting Google’s consumer hardware business. She is also a champion for diversity within the organization and serves as a member of the Women@Google board and is an executive sponsor for HOLA, Google’s Latino Employee Resource Group. Prior to joining Google, Corrales was the cofounder of a solar startup which she sold as CEO in 2010. She has also served as chief operating officer and chief financial officer at Nest, and senior vice president of product operations at Cisco. Corrales is on the board of directors of Roli and Watermark. Gaye-Schnell oversees all regional and grocery centers for Walmart within the southern half of Texas. She is also an active board member for the Hispanic Officer Caucus and a key sponsor of the diversity and inclusion initiatives in Walmart’s supply chain. Prior to joining Walmart, Gaye-Schnell spent 19 years with Mattel where she worked in logistics operations in Caracas, Venezuela. She went on to support the Mattel Latin America export division in Miami and became director of supply chain for Latin America (excluding Mexico and Brazil). Gaye-Schnell also serves on the board of the Boys and Girls Club of Broward County, Florida. Hernandez-Kakol is a senior partner at KPMG. She plays a significant strategic role in shaping and building the management consulting practice, which has grown at a double-digit rate over the last five years. She leads the firm’s global customer and operations practice, overseeing a team of more than 2,000 partners and professionals to address the front-and middle-office challenges of Fortune 500 clients. She is also global lead partner for one of KPMG’s premier clients. She recently received the highest honor from her firm, awarded biennially to a partner that demonstrates exemplary client service, visionary leadership, and the highest standards of integrity. She actively serves on the National Academy Foundation’s STEM committee, the NJ Junior Achievement Board, and the Hispanic Information Technology Executive Council Board. Perez leads an integrated team to support Coca-Cola’s new growth model to become a total beverage company. She continues to oversee the company’s sports and entertainment assets including partnerships with the Olympics, Special Olympics, and FIFA. She also leads strategic and operational efforts for the company’s retail, licensing, and attractions portfolio of assets. With a focus on water stewardship and women’s economic empowerment, Perez has served as Coca-Cola’s first chief sustainability officer since 2011. 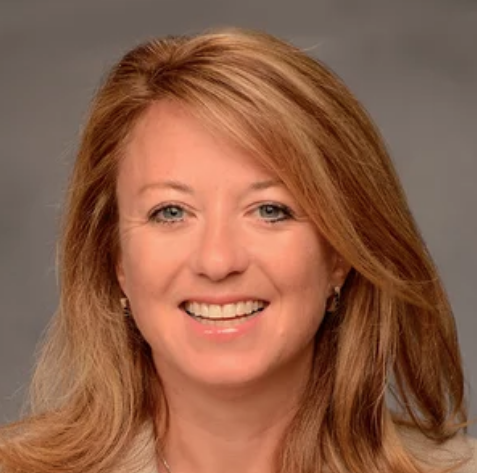 Prior to leading the company’s sustainability efforts, she served as chief marketing officer for Coca-Cola North America, where she built brands by developing some of the company’s most historic relationships, including with American Idol and NASCAR. With 30 years of extensive banking experience with JPMorgan Chase and its predecessors, Rodriguez is responsible for driving the growth and profitability of a portfolio of approximately $6 billion in revenue, comprised of a national customer base of over eight million households. Rodriguez has served on numerous boards and has held executive positions in business banking, consumer banking, and wealth management. She is a United States Hispanic Chamber of Commerce board member and has been recognized with several awards, including corporate elite by Hispanic Business Magazine and Hispanic lifestyle Latina of influence. Soto oversees the security of all information and technology assets for Comcast. She also specializes in technology risk management and strategy, business and technology integration, and vendor management and strategic sourcing. Her responsibilities cover over 54 different businesses under the Comcast portfolio of companies. In addition to her role at Comcast, she is on the board of directors for CMS Energy and Consumers Energy and Spirit Airlines. She’s also on the board of the Hispanic IT Executive Council, where she serves as vice chair. Under Vaca’s leadership, Pinnacle Group has become one of the largest Latina-owned workforce solutions providers in America. In 2015, it was the fastest-growing woman-owned business in the country and second-fastest in 2016 and 2017. Vaca is also a director of three Fortune 1000 companies. Vaca has been among the 101 most influential Latinos in America for the past decade by Latino Leaders. She is currently a Henry Crown Fellow at the Aspen Institute. Last year, she was inducted into the National Minority Business Hall of Fame and was named a trailblazing woman in labor and business by the National Women’s History Project. In 2014, she was appointed a presidential ambassador for global entrepreneurship and has traveled to five continents inspiring entrepreneurs globally. Uribe is responsible for a $3.5 billion line of business covering retail and business banking. Under her leadership, CB&T has been named the best bank in Orange County for the past four years, according to the Orange County Register. Uribe has lectured around the world and recently published the bestselling book #Values: The Secret to Top-Level Performance in Business and Life. She has an MBA in finance and strategy and a Doctorate in organizational leadership with honors both from Pepperdine University. She also serves on the school’s board of directors in addition to the University of Southern California and Next Step Asia, Hong Kong. Edwards is the CEO of InGenesis, the largest U.S. healthcare staffing firm owned by a woman/minority. InGenesis’ client portfolio includes approximately half of Fortune 500 companies and the nation’s leading healthcare, pharma, and research entities. Edwards proudly manages thousands of professionals and aligns the company’s philanthropic efforts with healthcare initiatives. Recently, Edwards led InGenesis through its acquisition of Kelly Healthcare Resources, a division of Kelly Services. She was elected by ANSI to serve as chair and head of the U.S. delegation for the ISO Technical Advisory Group developing healthcare management standards. Vasquez-Warner joined Walmart in 1995 as an hourly associate after college. Today, she oversees 104 stores and approximately 35,000 associates across Central Florida. Since joining the company, she was one of the first 16 associates to graduate from the prestigious Walmart Leadership Academy. She received the Pilar Andrade Excellence in Business Award from Yolo County, Calif. in 2008 and Regional Manager of the Year Award from Walmart in 2012. Vasquez-Warner is also an alumna and coach for Lifework Leadership and serves as a member of the International Women’s Forum, the Florida Diversity Council’s Board of Directors, and Dress for Success as a mentor for their going places network. Rodriguez began working at Home Depot as a part-time cashier and worked her way up to the regional vice president for the New Jersey Metro Region. With over 23 years of professional retail experience, Rodriguez has been engaged in all aspects of the business. Rodriguez worked on the front-end and held various roles within loss prevention and operations. She was a district manager for two years before her promotion in 2014 to her current position. With Rodriguez’s dedication to giving back, she is actively involved in community events. Her bi-cultural background has contributed to her success, as she is skilled at working with people at all levels within the organization and with Home Depot’s diverse customer base. Orozco-Mejia joined SoCalGas as an engineering intern in 1990 and today she oversees all aspects of gas distribution operations. She previously served as director of labor relations and was responsible for working with the unions that represent approximately 5,000 SoCalGas employees. She also serves on the board of directors for Adventist Health White Memorial Medical Center Charitable Foundation and the California State Parks Foundation. In 2017, Mejia received the BRAVO Business Award for dynamic CEO of the year. She was recognized for her role in leading one of the most successful food manufacturing companies in Latin America, as well as her leadership of Kellogg´s largest acquisition in the region (Ritmo Investimentos-Parati) and for championing Kellogg’s efforts in sustainability. Previously, Mejia has held a variety of global marketing and management roles at the Colgate-Palmolive Company. She is also a non-executive director on the Board of International Consolidated Airlines Group, and has been a member of the Board of the Council of the Americas since October 2014. Garcia leads a global team that develops cutting-edge technology solutions for Fortune 100 companies. Prior to joining State Street, she served as VP for Bank of America’s China Construction Bank Program. In that role, Garcia and her team created and implemented over five wealth management centers throughout China, which resulted in over 100 centers throughout the country. She is a fully certified Six Sigma Black Belt, and applies that discipline to every initiative she deploys. With an MBA from Boston University, a BA from SUNY Albany, and certification in economics from La Sorbonne, Garcia also serves as the chairwoman for the largest Latino professional organization in the country, ALPFA, and has tripled its membership to over 82,000 members. Morgan Stanley is increasing its focus in the international wealth management business and recruited Musa to lead its efforts. She has significant experience in international markets in the wealth management and investment management businesses and has spent a substantial amount of time working directly with financial advisors. Musa received her BBA degree, with a concentration in finance, from the University of Miami and an MBA degree in finance from Florida International University. Musa is fluent in Spanish, holds FINRA 4, 7, 24, 63 and 65 licenses, as well as life and health insurance licenses, and is Six-Sigma Greenbelt certified. Torres has over 25 years of experience in operations, control, and risk management for regulated and alternative funds in the U.S. and other leading domiciles. BNY Mellon AIS is a leading provider of hedge fund, private equity, real estate, fund-of-fund administration, and prime custody services. The investor services group is comprised of 340 staff across eight locations in Europe, Asia, and North America. McManus is responsible for the development and execution of information technology strategy for Lockheed Martin Rotary and Mission Systems (RMS). One of Lockheed’s four business areas, RMS is a $16 billion business that includes helicopters, naval systems, platform integration, logistics, simulation, and training. She has 30 years of experience in business, program, and engineering leadership and is active in the community, with a passion for STEM. A National Alliance for Partnerships in Equity board member and co-chair of Lockheed’s Hispanic employee resource group, McManus was recognized as one of the Hispanic IT Executive Council 100 the past three years. She is also a member of the HITEC board. Beginning her career as a Morgan Stanley trainee, Ramos-Kwok quickly rose through the ranks to managing director. Following her more than 25-year tenure at Morgan Stanley, she joined Bank of America as the global wholesale bank chief technology officer. Today, she is the managing director of consumer and shared services operations technology and co-leads the company’s global technology and operations Hispanic-Latino advisory council, as well as the diversity and inclusion forum. She is a Senior Leadership Council member of the New York Chapter of ALPFA. Jannicelli is a managing director at J.P. Morgan and head of the private bank’s law firm group. She began her career in investment banking, with a focus on mergers and acquisitions and debt capital markets. She eventually moved to the private bank where, among other things, she built the high net worth business for Latin America. Along the way, she pursued her passion for art history. Her thesis, The Chase Manhattan Bank: A Legacy of Art in the Workplace, chronicles the history of the JPMorgan Chase’s corporate art collection. Freyre is directly responsible for the company’s high-profile portfolio of Beauty brands including Aveeno, Clean and Clear, Lubriderm, Le Petit MArsellais, RoC, Rogaine, and Neutrogena, the largest brand within Johnson & Johnson Consumer. She is respected and has been recognized for her exemplary leadership qualities and her achievements in fostering a workplace culture that accepts and embraces uniqueness. Her industry accolades include: 2016 CEW Achiever Award, Top 10 2016 Latina Corporate Executives of the Year by LATINA Style Magazine, 2017 25 Most Powerful Women by People en Español, and 2018 Working Mother of the Year by She Runs It. Juan heads Citi’s Global Subsidiaries Group (GSG) in the Latin America and Mexico region, based in New York. She has held several positions in product and banking within Citi during her 23-year career. She is a member of the executive committee for both the global subsidiaries group and the region’s corporate and investment bank. In 2014, she was awarded Citi’s global citizen distinction for her contribution to the diversity initiative in the region. Prior to joining Citi, she was a senior consultant at Price Waterhouse, based in Buenos Aires. Dominguez is CEO and chairman of the Vanir Group of Companies and its subsidiaries. Vanir is a nationally recognized leader in program, construction management, and real estate development, which has delivered $23 billion worth of projects. Dominguez overseas 17 offices and approximately 400 employees. In addition, Dominguez serves on the board of directors for CIT Bank, KB Home, Coca-Cola Advisory Council, and the Notre Dame Latino Studies Advisory Council. Dominguez is the first Latina to own interest in an NBA team, the Sacramento Kings. Dominguez’s passion is to give back and she founded The Dominguez Dream, which empowers children in underserved communities to achieve literacy in science, technology, engineering, arts, and math. As a partner and regional business tax services leader at EY, Pestana works with leadership on strategy for tax advisory and planning and is the global tax account leader on one of the firm’s largest clients, managing more than $60 million of tax revenue. 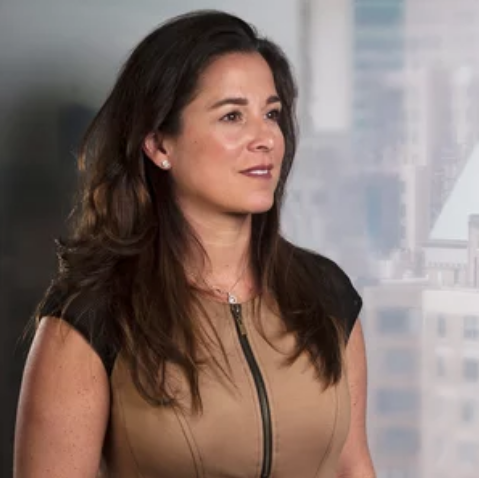 A daughter to Cuban immigrants, Pestana is involved in various firm initiatives focused on diversity and is the diversity and inclusion champion for the N.Y. banking and capital market group. She is also a founder of Sound of Gol, a non-profit dedicated to the development of youth through soccer. Ferris is a managing director and segment head for the endowment and foundation and healthcare business segments across the U.S. for BNY Mellon asset servicing. She has direct responsibility for front-office service delivery and directs various aspects of product management and strategic priorities, and new business development efforts. She’s a visionary and an energizing leader who sets the strategic direction and develops the resources and infrastructure that drive growth across the globe. She is a member of the IMPACT Global Governance Committee and co-chairs BNY Mellon’s diversity and inclusion chapters focused on recruiting and retention. Frias leads the $230 billion investment and pension solutions business, where she is responsible for the pension risk transfer, longevity reinsurance, structured settlements, and stable value businesses within Prudential Retirement, and related institutional product innovation efforts. Frias joined the company in 1997 and has held a number of executive positions, including CFO of Prudential Annuities, VP of finance (individual life insurance), and managing director and asset treasurer, capital markets, and corporate finance. In 2011, Frias was listed in Treasury & Risk magazine’s annual 40 Under 40 rankings. McGrath is responsible for leading Mondelēz International’s global impact for growth platform spanning well-being, sustainability, and community involvement; and leads the company’s engagement with governments and external stakeholders. In her prior position at Kraft Foods, she oversaw Kraft’s Latino Center of Excellence, where she led campaigns to increase the company’s investment in the Latino market and partner with brands to create impactful marketing programs. Sanchez oversees strategy and execution of enterprise recruiting and diversity and inclusion at Wells Fargo. Her team hires more than 90,000 people a year, managing 2.5 million applications along the way. Previously, she held senior talent acquisition and diversity positions at SunTrust and AIG. 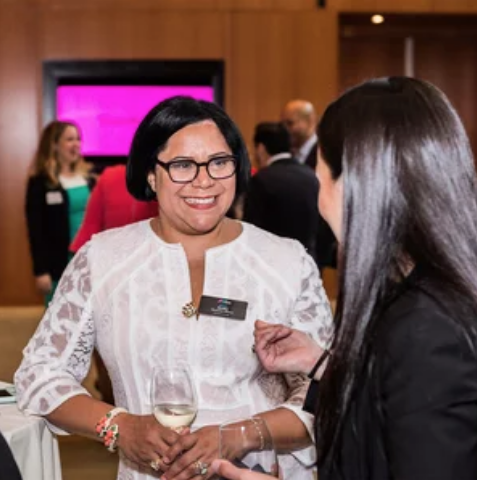 Sanchez is a member of the Asia Society’s Global Talent and Diversity Council and a founding member of the Institute for Corporate Productivity’s Talent Acquisition Leaders Board. In 2013, she participated in a national business initiative with the White House and the Rockefeller Foundation to drive inclusive hiring practices. She is recognized as a top executive in diversity by Black Enterprise and one of the 100 most influential Hispanics by Hispanic Business. 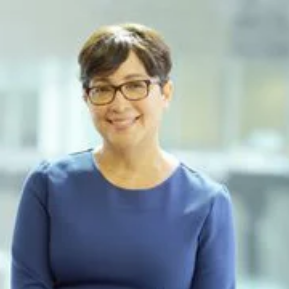 Vazquez-Ubarri is responsible for evolving and driving Goldman Sachs’ recruitment, leadership, talent, and diversity strategies and ensuring the firm’s diversity priorities are integrated across all talent initiatives. Prior to joining Goldman Sachs, she was an attorney at Shearman & Sterling and founded the firm’s women’s network (WISER) and served on its diversity committee. Vazquez-Ubarri serves on the Board of Trustees for the Fordham Law Alumni Association. She is also on the Board of the Latino Justice PRLDEF. Yrizarry oversees the implementation of Verizon’s global diversity, strategic talent acquisition, development and succession planning strategies. She previously served as director of operations for the Verizon Foundation, where she was responsible for a $75 million budget, overseeing a workforce development portfolio of scholarships, diversity initiatives, and economic development projects. She is a founding member of 100 Hispanic Women and is an alumna of the National Hispana Leadership Institute. She is also a chairperson of ASPIRA of New York, an executive board member of the ASPIRA Association, and a member of the Catalyst Research Center for corporate practice’s expert community. Recognized as a Most Powerful Latina in 2017 by Fortune, Martinez was appointed to the Board of the Association of Latino Professionals for America (ALPFA) in January 2018 and serves as the Chair of the Corporate Advisory Board for its Boston chapter. She currently serves on the boards of advisors to Northeastern University’s D’Amore-McKim School of Business and Bentley University’s College of Arts and Sciences. Martinez also coaches for and serves on the board of directors for Brookline Soccer Club. Since joining Accenture in 1986, Borrero has worked to raise awareness on the importance of embracing diversity. She has developed career progression initiatives for women in Japan, India, and Africa, an onboarding program for Latin Americans in Spain, and annual worldwide programs to celebrate International Women’s Day. Borrero has also worked to expand Accenture’s recruitment in the Latino community by partnering with several organizations such as ALPFA.